Disney may be slowly retreating from the battle theater of San Diego Comic-Con, declining Marvel mega-panels within cavernous Hall H. But that doesn’t mean the corporation’s most classic creations weren’t dancing, lilting and curtsying through the pavilions of the United States’ largest entertainment convention. This year, cosplay standbys like Deadpool, Spider-Man, Thor and Harley Quinn mingled with Cinderella, Snow White, Anna and Aurora. Indeed, the tiara is the new mask. Though many of these cosplayers stuck to the classic incarnations of their favorite animated royalty, many added badass slants to mirror the surge of super-heroine empowerment seen in comic publishers like BOOM! (Lumberjanes), DC (Batgirl) and, appropriately, Marvel (A-Force). One very pierced and tatted Snow White wielded a pick-axe and mechanics shirt, letting everyone know that she sure as hell didn’t care whether a prince came or not. A zombie Tinkerbell (yes, we know she’s not technically a princess) struck a defiant, blood-stained pose, raising the question whether “never growing up” meant zombification by an adorable wraith in a tattered dress. 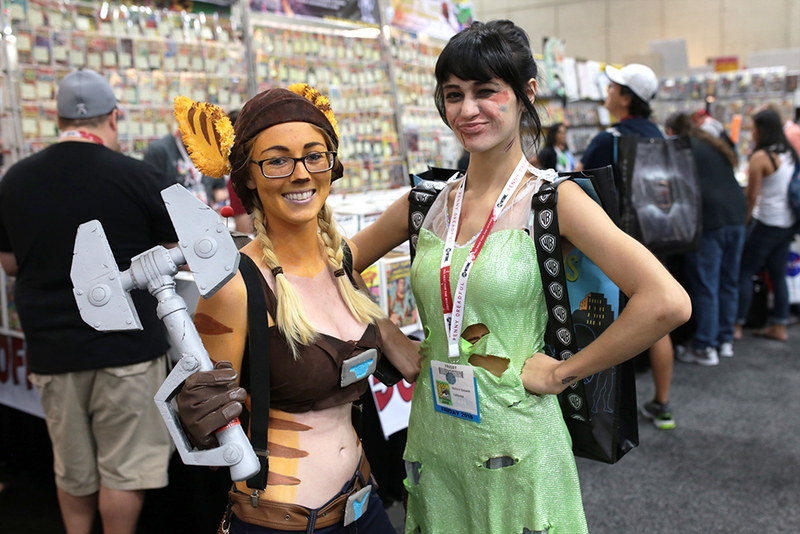 In the meantime, here are the cosplayers that caught our eye at this year’s San Diego Comic-Con.